Viseart Eyeshadow Palettes have hit cult status in the beauty world—and for good reason. A staple in every makeup artist’s kit, the versatile hues, ultra-blendable powder formula, and rich pigmentation make these best-selling palettes perfect for beginners, too. Apply shadows wet or dry with an eye shadow brush or your finger. These shadows can also be used as blush, contour, highlighter, brow color, and more—the possibilities are endless. Viseart’s shop is located in the Marais district of Paris on Rue Charlot. This company it very well known by professional makeup artists from around the world as 'THE" premier professional brand of choice. Viseart fuses quality with integrity; hence superior products. Their products are made without petroleum, parabens, silicone, butylene glycol or propylene glycol, phthalates, or artificial dyes. Viseart is most well known for their shadows; however, their Classic Crème Maquillage (cream foundation) is a staple in most mua's kits. Their blushes, lip products, setting powders, neutralizers, concealers and gel liners are all top notch HD products will continue to stand the test of time and HD resolution. Viseart palettes cost $80 USD. The most common thing I hear from people is, "$80 for matte shadows? Why spend $80 when I can purchase MAC, UD, Morphe, or MUG, shadows and make my own palette for far less money.?" Not an unreasonable train of thought; however, think of it this way: You get 12 shadows in the palette and that works out to about $6.80 a shade(cheaper than MAC) which is hardly unreasonable. Viseart's shadows are created with highly micronized pigments that are triple milled for a very buttery consistency. 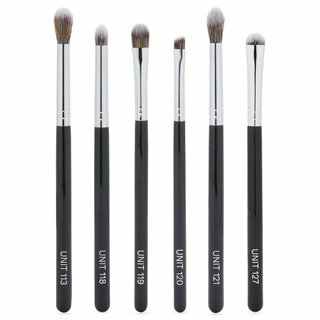 Can you find comparable texture and overall quality in other shadows? perhaps; however, Viseart shadows really excel above all others when it comes to blending. They are the best from 'tin to skin' shadows in terms of fluidity. With Viseart shadows blending is a breeze, and there are so many other uses for the shadows in the Neutral Matte palette. I use them on brows, to cover grey roots, to deepen eyelash color, for contour and highlight, and I also use them on the scalp to make hair look thicker. All that being said, if you think $80 is a bit steep for a shadow palette, think of the quality of what you are getting with Viseart. They don't rely on cute packaging, and they don't spend big money on marketing. Their products speak for themselves, and like the song 'Simply The Best' sung by Tina Turner, Viseart's shadows are 'simply the best, better than all the rest,' and I'm stuck on them. Viseart has absolutely ruined other eyeshadows for me, the quality is just outstanding. Pigment? Check. Buttery Smooth? Check. Zero Fall Out? Check. I've never used eyeshadows that are so effortless to work with and give such a beautiful finish. I also thought it would be impossible to ever find neutral that actually carried enough pigment to be usable on dark skin. 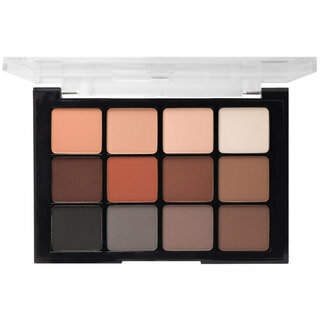 Viseart Neutral Mattes is THEE palette everyone should own. 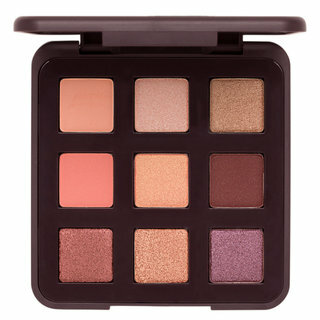 I've just ordered the Sultry Muse and I cannot wait to use it. I made the look for the model in picture using viseart palettes. Ok, so I'm a makeup addict and their are many brands that I enjoy, but nothing really comes close to viseart. 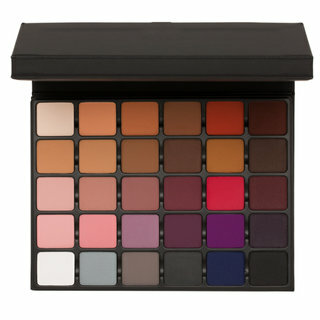 In my opinion, viseart mattes are the standard by which all eyeshadows should be judged. Nothing performs or blends as effortlessly as my viseart shadows. Sure, I can create great looks with other brands too, but it takes longer with them. Viseart shadows practically blend themselves. I know they seem expensive compared to other palettes, but I believe that they are worth it entirely, and even though the packaging doesn't seem luxe.... They travel so well. I'm never afraid to take them with me, if you don't have any yet, I highly recommend... And if you don't know where to start, I'd say the neutral matte and dark matte palettes are the best two to start out with. 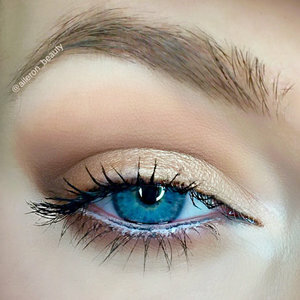 I used the neutral matte palette to create the look in the picture, along with one of the shimmer shades from the minx theory palette on my lid. Without a doubt the best shadows I have EVER used. As a professional makeup artist I have used many different brands of shadows throughout the years. 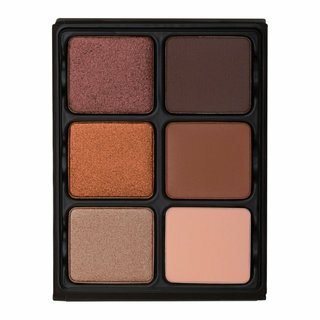 Viseart is without a doubt the BEST shadows that I have ever used. The pigmentation is there, the blend like a dream, and they hold up exceptionally well on the lids. I own ALL of the Viseart eye palettes and I love every single one of them. I use the #1 matte palette LITERALLY every time I do someone's makeup. 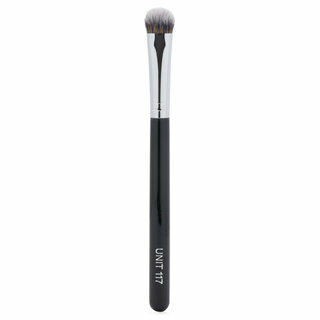 The colors are multi functional and work well for the brows as well as working for highlighting and contouring. Given the quality and amount of product you get these palettes are an exceptional value for your money. I know what you're saying....."Do I REALLY need another neutral palette?" The answer is yes. Yes you do! Put it/them in your cart and hit that checkout button before these sell out! And for all those wondering there is a REASON why these palettes sell out everywhere so fast, Viseart only produces their products in what most companies would consider "small batches" to ensure that the quality is at it's very best. That's what you get with Viseart....Quality. I give Viseart 2 thumbs up. It's an excellent buy for the amount of product you receive. I purchased the Sultry Muse and loved it so much I purchased Neutral Mattes a few weeks later. 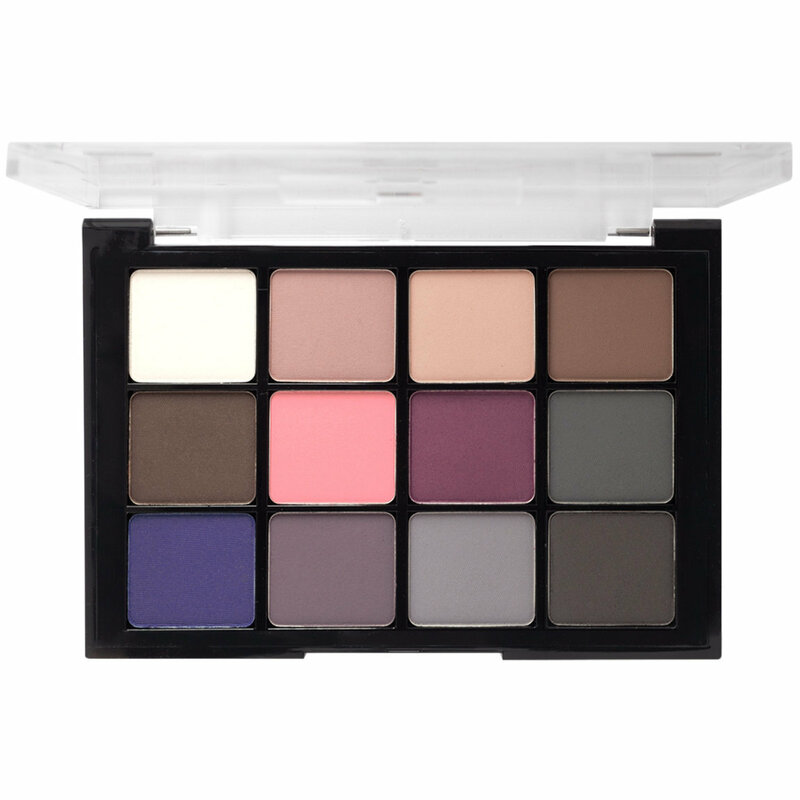 I'm just waiting for Beautylish to carry the Parisian palette so I can buy that one too. I love the rich warm hues in both palettes. The colors blend well and are long lasting. I use these shadows everyday. You'll love them. For the love of color! These palettes make me so happy! I am not a MUA, just a gal in her 40's that found eyeshadows again after some twenty years break. My problem is watery eyes, and using eyeshadow usually makes the problem worse. However, I have now found out that these Viseart eyeshadows as well as many UD eyeshadows do not irritate my eyes so much. I think the twenty year gap might explain this... No? Anyway, I love color, and these two colorful Visearts, Editorial Brights and Boheme, have made it so very easy to incorporate bright colors on my lids without looking like a clown with my average make-up skillz. :D They are very easy to blend, soooo buildable, they blend together to make new colors, and the shimmers complement the mattes. Yes, they are worth the splurge for sure. The only thing I learned the hard way is that your lid has to be well based, since the matte colors adhere to the lid and become harder to blend if the lid base is too sticky. Also, the shimmers are not super metallic, however they are very very beautiful, subtle, classy, and also quite forgiving on more mature skin. Imo they are perfect but if you're looking for wham-bam-foiled shadows, these might not wow you. 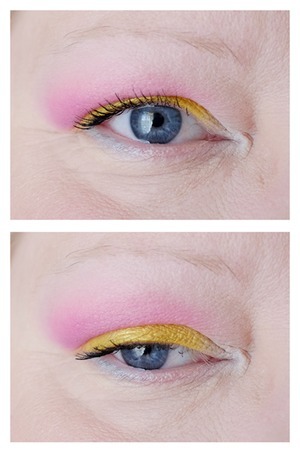 In the photo I have used pink, yellow and lilacs from '8 Editorial Brights', yellow, pale pink and light blue from '2 Boheme', and white and light beige from '7 Cool Mattes'. Finally! 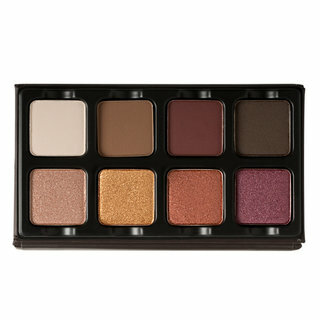 My fave palettes are on sale on Beautylish. I started practicing makeup with Viseart and RCMA makeup and they are always always staples in my kit. The Neutral Matte palette in my kit has been on set with me for fashion shoots, editorials, spfx films, theater and of course bridal. I've gone through 2 of these palettes as I depended on them greatly. They transition so easily into other makeup and can be worn on their own. My faves for my vanity are Dark Mattes and Sultry Muse at the moment. They work beautifully to amplify color & texture. I own four of these eye shadow palettes now. I was hesitant because of the price but once you break it down, you really are getting a lot of quality eye shadow for your money. I own the Dark Mattes, Cool Mattes, Boheme Ribbons, and I just purchased the Bijoux Royal. I can't wait to receive that one! 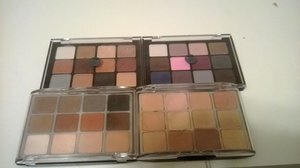 Every time I do an eye look with any one of these palettes, it is practically effortless. Extremely pigmented, blends like a dream, and not very much fall out at all. I use the dark matte palette on a daily basis. It's hard to go back to my other palettes after I started using these. One of my best investments in purchasing makeup. Wow since when did Beautylish start carrying Viseart? Awesome! Anyway, I bought the Neutral Matte palette off Sephora, it was constantly out of stock and I scooped it up one time when it was available. I was a bit nervous at the price but its so worth it! I have used it almost everyday since I bought it. The different warm and cool-toned shades make it perfect for any skin tone, and its easy to mix and match the colors to achieve the desired shade. I really love it. If you like mattes, you should pick this one up.